No matter how patients prefer to pay, our goal is to make it easy for them to pay and easy for us to track and post the funds. 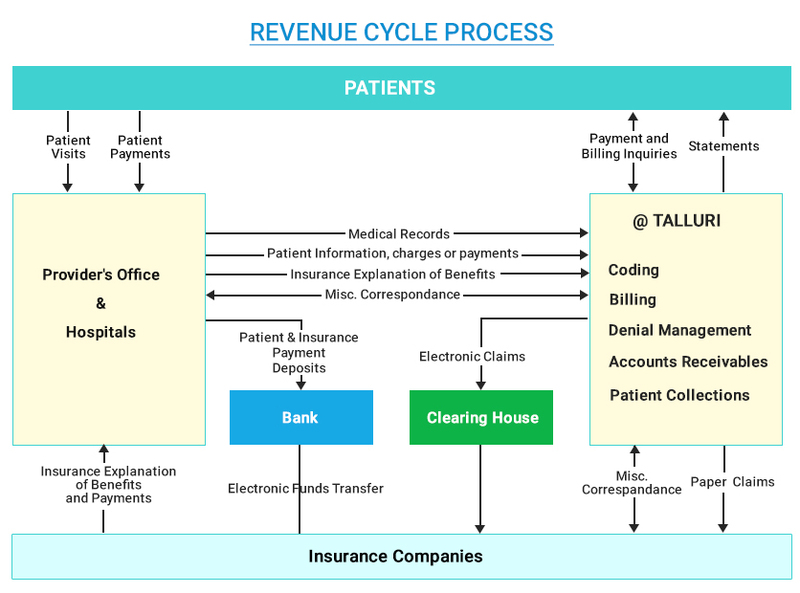 Talluri provides the flexible payment solution which helps you to collect more efficiently and securely by sending the accurate bills to patient and strong follow up to make sure to get paid the balance if any left after primary and secondary insurance payment. We provide the reminder to the patients after generating the patient bills on the insurance payment date to notify that the patient responsibility to this swift billing process which is the importance of the financial portion of their visit.